Michael Price is best known an Emmy Award-winning composer of music for television programs, but he also writes concert music and dance scores. This project was undertaken in collaboration with Britain’s National Trust, and consists of music performed and recorded in such historic locations as the ruins of Fountains Abbey and the Fan Bay bomb shelter (located inside the iconic chalk cliffs of Dover). As one might expect, the music–written for various combinations of orchestral strings and voices–is generally written to take advantage of warm, reverberant acoustics, and although much of it is gentle and quiet, there are moments of significant intensity and dissonance as well. Price’s writing for solo voice (note in particular the heartbreaking “Fan Bay”) is particularly attractive. For all libraries. 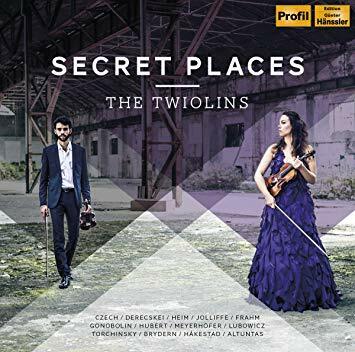 The Twiolins is the cute name of a duo consisting of brother-and-sister violinists Marie-Luise and Christoph Dingler. Together they have become champions of what they call “progressive classical music,” which seems to mean modern art music that is relatively accessible, exciting, and tonal compared to other, more academic manifestations. They certainly play with great dynamism and stylistic range, and on their latest album they present thirteen brief works by contemporary composers from a variety of regions and traditions; all of these pieces were written for the Twiolins and are, in fact, winners of a competition the duo commissioned. The stylistic range is too great to do justice to in a brief review, but suffice it to say that the pieces are all well worth hearing and the playing is consistently thrilling. 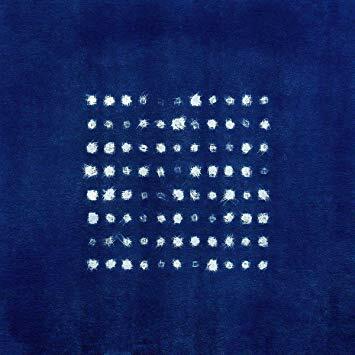 Ólafur Arnalds is a genre-defying pianist, composer, and producer, whose latest album makes generous use of orchestral strings and electronic sound manipulation. (Honestly, I’m not entirely sure it belongs in the Classical section, but it certainly doesn’t belong in any of the others, so here we are.) On this album he employs an electro-acoustic musical system called Stratus, of which he is the co-inventor. It uses three pianos, two of which are self-playing but select notes in response to the ones he plays on the third piano–the result is semi-aleatory, but (on the evidence here) always consonant, and the piano parts are frequently augmented by various combinations of strings and sometimes by modest electronic beats. It’s hard to overstate how deeply, lusciously beautiful this music is. What seems on the surface a frankly bizarre program–two cello concertos from the height of the classical period paired with a chamber work that famously uttered the one of the lasts gasp of European Romanticism before its composer turned away from tonality and towards serialism–is, of course, in reality simply a celebration of Vienna, an unbelievably varied and fecund city that probably gave birth to more world-changing music per square block than any other in Europe. Does that mean that the transition from Haydn’s foursquare classical architecture to Schoenberg’s aggressive post-Romantic abstraction isn’t jarring? Well, no. 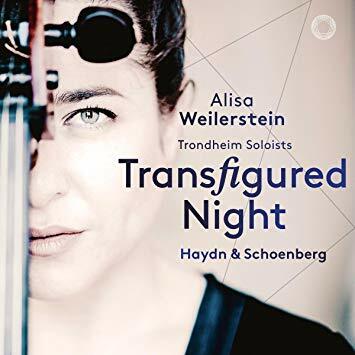 But the contrast is bracing, and cellist Alisa Weilerstein is a marvel. Highly recommended. Mozart’s flute concertos are so familiar by now that just about any fan of music from the high classical period can sing along with them (or at least with the fast movements). But that doesn’t mean there’s anything wrong with recording them again–and when they’re paired with a concerto by the unjustly neglected Bohemian composer Josef Myslivicek (of whom Mozart himself was a great fan and ardent supporter), then there’s even more reason to pay attention. Ana de la Vega plays with infectious joy and is beautifully accompanied by the English Chamber Orchestra, all on modern instruments. I can’t resist putting forward another Mozart pairing this month. 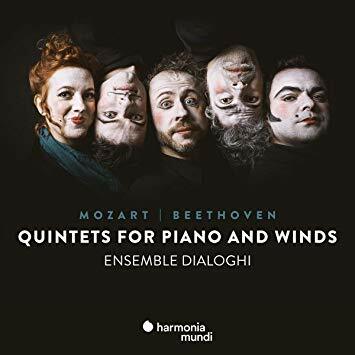 This one brings together period-instrument recordings of wind-and-piano quintets by Mozart–genius midwife of the classical-to-Romantic transition–and Beethoven, who brought that transition to full flower. 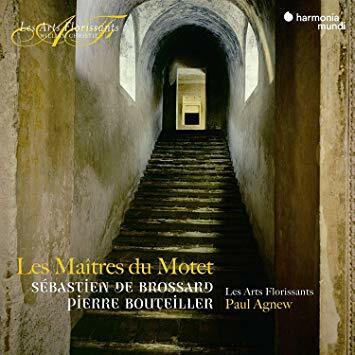 One strong reason to recommend this luminous recording is the horn playing Pierre-Antoine Tremblay; very few players of the fiendishly difficult natural horn are able to do so with such a sweet, burnished tone, and his playing is a joy to hear throughout this recording. Everyone else’s playing is great too, and the juxtaposition of these two works (Beethoven’s from his youth and apparently modeled on Mozart’s) is as instructive as it always is. Great music, beautifully recorded and sumptuously played. Here’s the thing about Vivaldi’s concertos: listening to them is kind of like looking at the stars in the night sky: definitely a pleasurable and impressive experience, but there’s not always a lot of obvious difference between them. 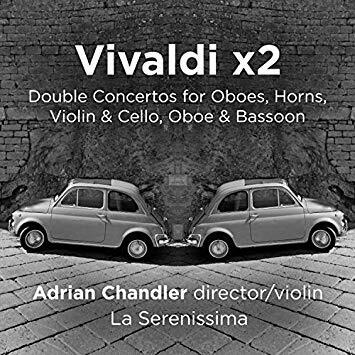 So this program of double concertos offers the twin benefits of lovely music beautifully played and an unusual instrumental format. The key to getting people interested in Vivaldi is energy: if you can’t play his music with real vim and fire, no one is going to want to listen. And despite their group name, the La Serenissima ensemble does just that, delivering these works not only with rigor and accuracy but also with audible joy. The last piece on the program is a large-scale multi-instrument concerto that features all of the soloists in one thrilling finale. Recommended to all classical collections. Here we have a selection of grand works by very obscure 17th-century French composers, one of whom (Brossard) was also a keen collector of music by others. Brossard’s own setting of the Stabat Mater text is marvelous, and stands up nicely next to the centerpiece of this program, which is Bouteiller’s magisterial Requiem Mass. The latter work is characterized by particularly sophisticated use of counterpoint and canonic techniques, and is performed with utter perfection by Les Arts Florissants. This disc is a classic example of one that provides as much sheer aesthetic enjoyment as it does academic interest, and it is strongly recommended to all classical collections. Field recordings–whether of environmental sounds or of music made in public spaces–have informed classical music ever since Béla Bartók and Zoltán Kodály went into the Hungarian countryside to record folk musicians and used those recordings as thematic sources for their compositions. Later on, Edgard Varèse would incorporate the sounds of industry and urban life directly into his own musique concrète, and later still Steve Reich would derive musical melodies from the pitches of spoken language, transcribing those melodies and having instruments play them against the original recordings. 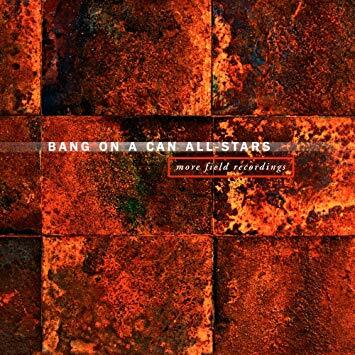 In the spirit of this now-longstanding tradition, the Bang on a Can All-Stars commissioned a series of work by contemporary composers, all of which were to be based on (or in some way interact with) field recordings of one kind or another. This is the second collection to result from that commissioning project, and it’s absolutely fascinating: from the charming piece that incorporates women talking about their quilting projects (Caroline Shaw’s Really Craft When You) to the Middle Eastern modalities of Glenn Kotche’s Time Spirals, there is great stylistic diversity here–and in many cases it’s difficult or impossible to tell where the field recordings end and the composed music begins, which is kind of a fascinating effect in its own right. Highly recommended to all libraries. 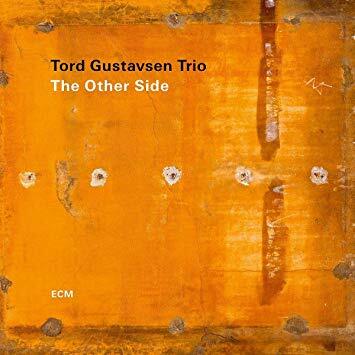 Pianist/composer Tord Gustavsen has been releasing albums on the ECM label for fifteen years now. His earliest work was in the trio format, and later he experimented with other group configurations; now he’s back in a trio setting, and showing off how far he’s come as both a composer and an arranger. Fascinatingly, some of these melodies are actually taken from church chorales he learned during his youth in Norway, and some are old Nordic folk tunes. At times the results can be quite rhythmically abstract (notice in particular the ethereally floating intro to “Duality”) while other tunes swing gently but firmly. In all cases, the piano, bass, and drums function almost like a single musical unit; the bass hardly ever walks, and the drums rarely provide a pulse, and yet the band is always perfectly rhythmically coherent. And Gustavsen’s lines are simultaneously free and deeply lyrical. It’s like magic, honestly. Highly recommended to all libraries. 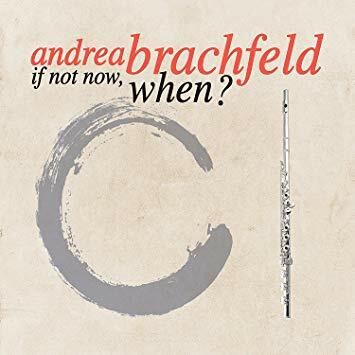 Flutist/composer Andrea Brachfeld comes out of the gate at a full sprint on her new album, with “The Listening Song,” a fast, harmonically complex, melodically wild tour de force that finds her taking turns with pianist Bill O’Connell to create head-spinning variations on a theme that was knotty enough to begin with. Then comes “Steppin’,” which evokes Thelonious Monk in its craggy syncopations and melodic twists, and which is taken at a similarly headlong tempo. And even when things slow down with the third track, the music remains complex and challenging, and it stays that way throughout the album. Which is not to say that it’s “out,” really–the quartet swings like nobody’s business and the harmonies are all conventional and tonal. It’s just to say that it’s complex and challenging–and exhilarating and deeply impressive and, to be honest, a bit exhausting. 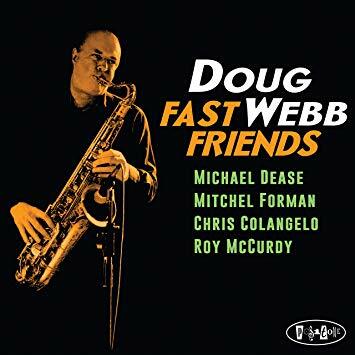 Tenor saxophonist Doug Webb is back for his eighth release as a leader on the Posi-Tone label, a solid winner of a set on which he plays a variety of standards and originals at the head of a quintet that also features the brilliant trombonist Michael Dease, pianist Mitchel Forman, bassist Chris Colangelo, and drummer Roy McCurdy. In addition to bebop standbys like “Ah-Leu-Cha” and “Night in Tunisia” (the latter in an arrangement that, against all odds, actually sheds new and fresh light on that moldiest of bop chestnuts), there are also Webb’s lovely tribute to John Coltrane (“Last Trane to Georgia”), a gorgeous account of Lee Konitz’s Latin-flavored “Dream Stepper,” and a sweet and gentle rendition of the Jules Styne classic “The Things We Did Last Summer.” It’s hard to pick out highlights, though, as the album is so consistently first-rate. For all jazz collections. 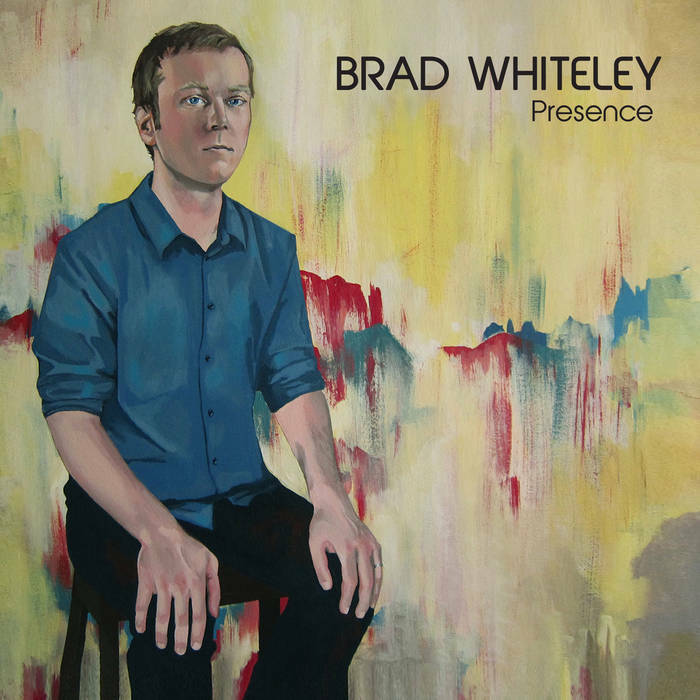 Brad Whiteley is a young composer, pianist and organist (sticking with piano on this date) with a taste for tough, sinuous tunes with a powerful melodic core. 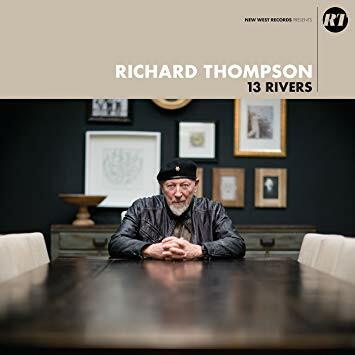 On his sophomore effort he leads a piano-bass-drums-sax-guitar quintet that manages to stay tightly together throughout a widely varied set of compositions, from the contemplative midtempo meanderings of “Everything Changes” and “Presence” to the sassy strut of “Sunset Park” and the disconcerting 9/4 groove of “Demagogue.” It’s quite unusual for jazz this interesting and original to also be so instantly accessible and enjoyable. Ayn Inserto is a breathtakingly gifted composer and big-band arranger, and her taste for big and luscious arrangements with a hard, crunchy center is beautifully on display with this album. Inserto established this group in 2001 and has since worked hard to cultivate a feeling of connection and intimacy within it, the fruits of which are clear: they play like a single organism, the brass blending creamily and the rhythm section pulsing as if it shares a heart. 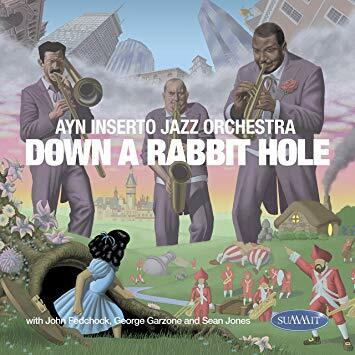 She draws deeply on jazz traditions (listen to the Ellingtonian intro to “Mister and Dudley”) but expands on them both subtly and assertively, and on the aptly-titled “Rabbit Hole” she creates a musical cyclone of phased repetitions and complex rhythms that are positively thrilling. No library with a jazz collection should pass this one up. Question: 34 years after his death, is there still really a “Count Basie Orchestra” in any meaningful sense? Answer: Sure, why not? Especially when it’s a repertory group that focuses on Basie’s music and his arrangements. The latest from this group showcases not only the (predictably) world-class chops of the band, but also a fun array of guests that includes vocal ensemble Take 6, trombonist Wycliffe Gordon, organist Joey DeFrancesco, and even Stevie Wonder (playing harmonica on a nice arrangement of his “My Cherie Amour”). There’s also an arrangement of “Tequila” and one of my least favorite song of all time, the unfortunately ubiquitous “Hallelujah” by Leonard Cohen. 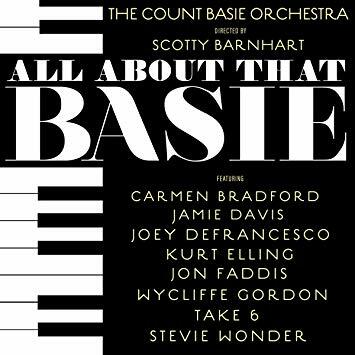 All of this brings us back to the first question: given that the majority of the tunes on this particular album aren’t from the Basie book, in what sense is this the Count Basie Orchestra? And the answer remains the same: because why not? Man, they sound good. 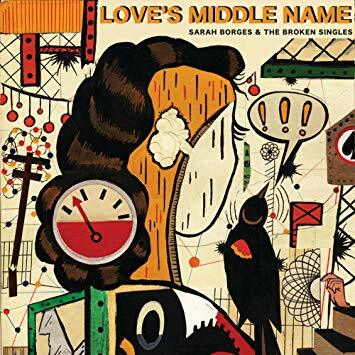 I’m putting this one in the Folk/Country section because, if you’ve been following her career up to now, that’s where you’ll expect to see mention of Sarah Borges’ latest album. But the fact is that Love’s Middle Name bears a similar relation to country music as the early work of X did: it draws on the traditions but stomps them lovingly into the ground. “House on a Hill” is downright punky (and not cowpunky either), and it takes two more tracks before you hear an acoustic guitar or a cowgirl vocal hiccup. But then you hear some more, and eventually you stop caring much about genre boundaries and you just give yourself up to the crunchy joy of Borges’ songs. For all libraries. 1975 was not a banner year for country music. For one thing, there was an awful lot of schlocky stuff on the market. For another, it marked Buck Owens’ final record for the Capitol label before he switched to Warner and made two not-very-successful albums and then effectively retired. The single (the album’s title track) didn’t even chart, so the album actually got shelved and is now being released for the first time, with two bonus tracks. How is it? Not great, frankly, but not bad. 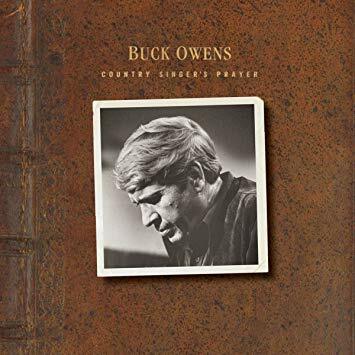 Owens’ version of “Battle of New Orleans” is slightly embarrassing–that jaw harp, oy–but the rest of it is good in the way that Buck Owens albums were always good: sharply written songs sung with deceptively effortless-sounding skill. 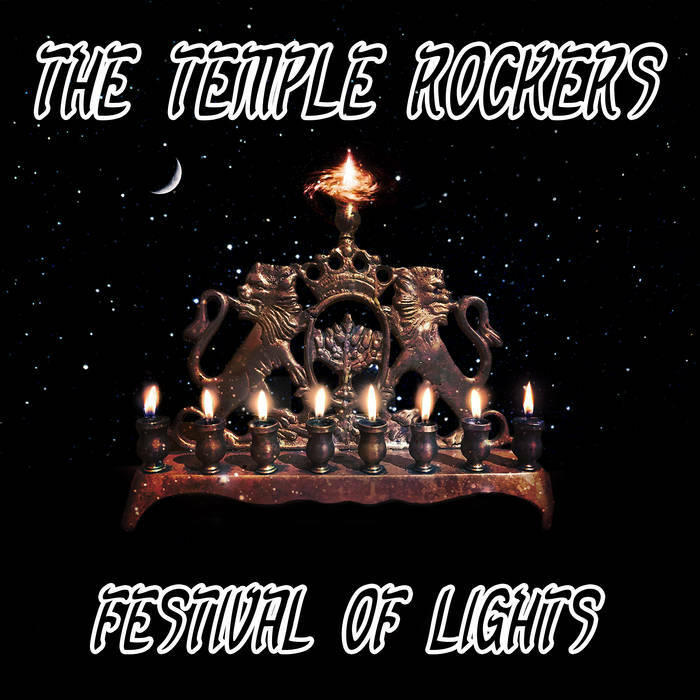 Also, this album marks the final recordings of Owens’ genius sideman Don Rich, who was killed in a motorcycle accident during the sessions. All in all, this album has historical significance that, for libraries, will outweigh its somewhat more modest musical quality. 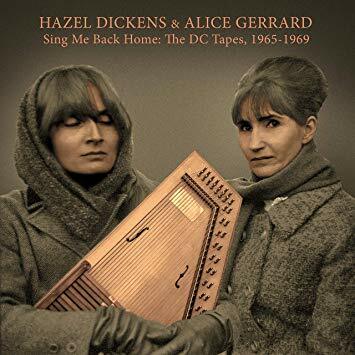 Well, this one starts off with a bang: you hear a familiar driving chord progression played on an autoharp, and before you can sort through the musical disorientation the voices come in, and you realize that Hazel Dickens and Alice Gerrard are singing the Everly Brothers’ hit “Bye Bye Love.” What’s going on? Well, the two titans of the 1960s folk scene had been running into each other at jam sessions in the DC area and recognized a kinship, and soon were recording albums together. But they also taped their practice sessions at home, and some of those are preserved here and released for the first time. They are definitely rehearsals: there are false starts and snippets of discussion, and the sound quality ranges from crappy to so-so. But the singing is exactly what you’d expect from this powerhouse duo, and the songs are a great mix of gospel, blues, folk, bluegrass, and (yes) pop material. For all folk collections. When I was a teenager, they called this New Acoustic Music, and it changed my life. I remember running to the Harvard Coop after school so I could ask David Grisman and Darol Anger and Mike Marshall to autograph my orange nylon backpack (yes, I was one of the cool kids), and I listened to Tony Rice’s debut solo album until I could practically sing along with every solo. 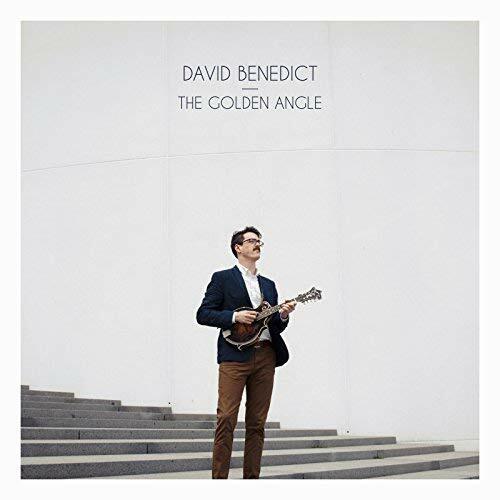 NAM has never really died, but mandolinist/composer David Benedict is now taking it into the 21st century–not by means of technology or wild experimentation, but simply by writing and performing music that takes the same formula (which can be summarized as “bluegrass instrumentation, jazz application”) and pulls it into deeper melodic and harmonic waters. The changes are jazzier, the tunes draw on more non-country influences, and the playing is maybe even a bit more virtuosic (check out Wes Corbett’s neo-Reno banjo solo on “Dorrigo,” for example, and the crooked time signatures on “8 Is My Favorite Color”). Benedict is a technically brilliant player, but he never just shows off. Every tune is an original composition and every one is worth hearing on its own, apart from the genius solos that are played everywhere. Strongly recommended to all libraries. 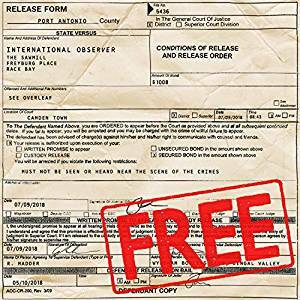 There’s ambient music, and then there’s dark ambient music, and then there’s “cinematic dark ambient music.” The latter is the stock in trade of the very fine Cryo Chamber label, and its two most recent releases are outstanding examples of the genre. 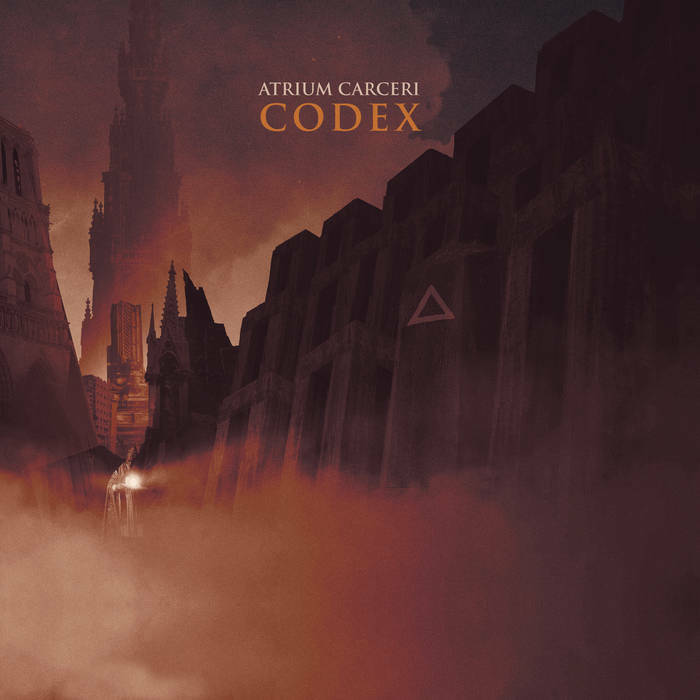 Atrium Carceri’s latest is particularly dark: chords and even occasional (very slow) beats cut through dense clouds of sound that sometimes evoke wind in deep caves and sometimes bring to mind the warning growls of planet-sized beasts of prey. 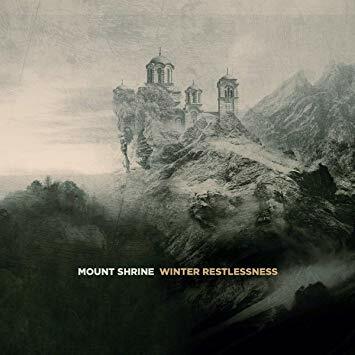 Mount Shrine’s album is interesting in that it’s somewhat misleadingly titled. Although its moods are dark, the music is also quite warm and much less foreboding than that of Atrium Carceri. 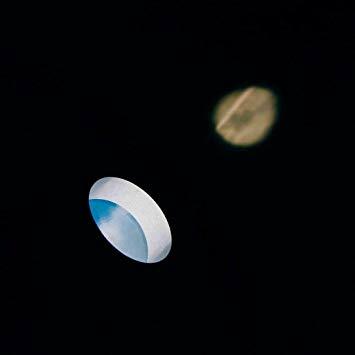 Mount Shrine also makes use of a somewhat more varied textural palette–notice, for example, the juxtaposition of floating chords and drones with tiny, glitchy accents on the album’s title track. Both of these albums are well worth considering for your library’s collection of electronic music. 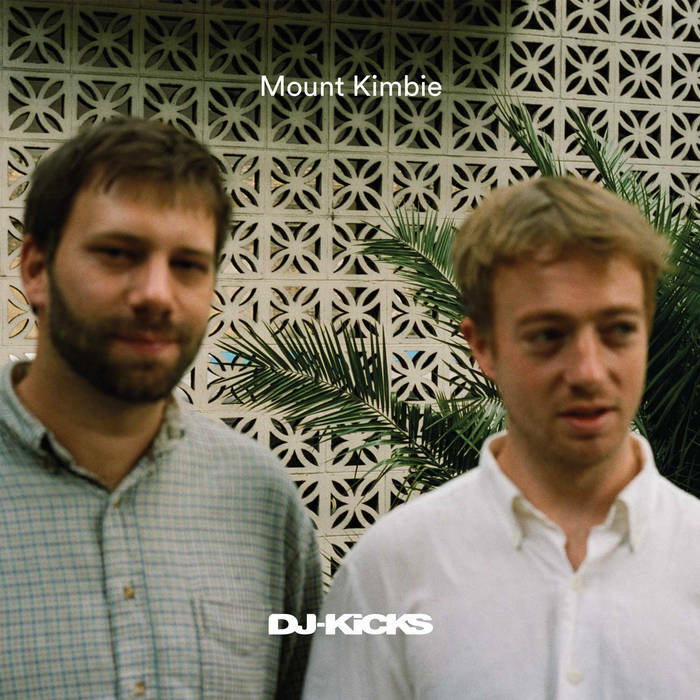 For those not familiar with Mount Kimbie, they are Kai Campos and Dominic Maker, who, over the past ten years, have been making original music that draws on dubstep, garage, electronica, and ambient styles to create a unique hybrid of electronic dance music that is maybe not quite so much about dancing as about listening. For their entry in the longstanding DJ-Kicks mix series, they focus more on the body than the mind, though, offering a continuous mix of pulsing midtempo house and techno numbers by artists like Severed Heads, Stanislav Tokachev, Taz & Meeks, and Watching Airplanes–with a handful of original tracks thrown in for good measure. These aren’t exactly club bangers, though: even the most beat-driven tunes are quite atmospheric and moody. It’s all really cool, and I say that as someone who doesn’t much care for house and techno generally. Lisa Gerrard and Brendan Parry are back, nearly 40 years after first forming Dead Can Dance and inducing a collective swoon within what was then a nascent international Goth community. 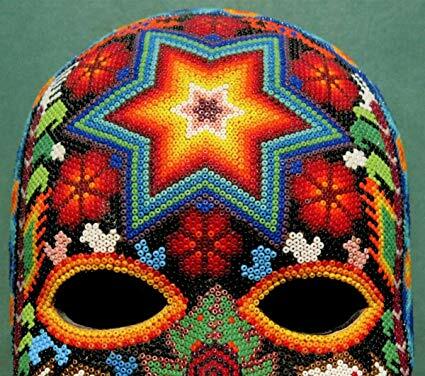 Unlike many of their colleagues, Dead Can Dance had a thing for medieval music, and in fact learned how to play a number of ancient instruments in order to indulge that fascination. The results were sometimes a bit pretentious, but frequently wonderful. This new album is outstanding (though, at 36 minutes, somewhat on the short side for a full-price release). On Dionysus the early-music influences are fully digested and the resulting music is both familiar-sounding and deeply original: a two-part, seven-theme program that draws on themes of ancient spring and harvest festivals and the continuity of their influences throughout time. But if you want, you can just luxuriate in the strange and wonderful music. Recommended to all library pop collections. Out of Nations is a Berlin-based band led by reed player Lety ElNaggar, whose vision is of “a future world where people take each other as humans before they see each other as members of a certain nation.” Accordingly, the music she and her bandmates make draws on a variety of European, Middle Eastern, Latin, and American traditions, sometimes focusing on one more closely (note the keening klezmerisms of “Feluka” and the straight-up jazz-rock fusion of “KurdMajor”) and sometimes blending all of them together. Everyone in this group is a virtuoso and the group’s playing is often thrilling; sometimes the politics gets a little heavy-handed (as on the spoken-word bits in “Out of Nations”), but the music is all well worth hearing. To Those of a Certain Age (ahem), Tom Bailey is best known as the former co-leader of Thompson Twins, one of the most successful synth pop bands of the 1980s. Over the past 15 years or so he’s been operating under the name International Observer, indulging his love of dub and downtempo electronica with a series of albums characterized by lush, sweet soundscapes that feature occasional vocal samples, lots of reggae-based rhythms, and enormous sound fields filled with dubwise effects. It sounds like this is going to be his final release in this mode, and it consists of tracks previously released only in New Zealand, his home country (though it appears they were also internationally available via Bandcamp). All the familiar characteristics are here: a mix of rockers, one-drop, and steppers beats; the occasional infusion of a hammered dulcimer; an admirable ability to conjure hooks seemingly out of melodic thin air. Brilliant and entrancing, as always. The artist format of this album is kind of hard to describe. The Nextmen are a production and remixing duo, but they also write original songs, and they operate in a variety of beat-based genres including reggae, hip hop, drum & bass, and soul. 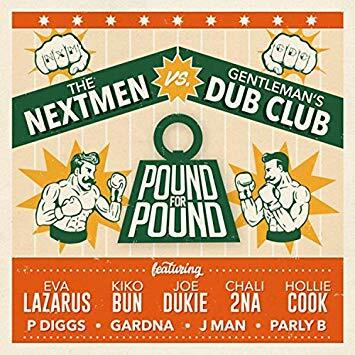 Gentleman’s Dub Club are a proper band, but on this collaborative album their chief vocalist steps aside to make room for guest singers and chatters like Kiko Bun, Gardna, Parly B, and (best of all) Hollie Cook. 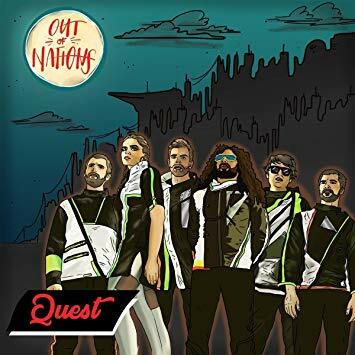 The result is an album that is built on a solid foundation of reggae rhythms but that explores hip hop, dancehall, lovers rock, and roots moods as well. The Nextmen’s involvement means that the production quality is always stellar: the grooves are deep and dark, but there’s lots of multicolored detail in the mix, and all the singers are presented in settings that show their skills off to maximum effect. Every track is a solid winner.